Are you ready to see Santa & enjoy the Holidays? Well, ready or not, it’s time to get yourself prepared for all things holiday going on around Plano and Dallas. This is such a special time of year to have fun with the family and make some wonderful memories. To keep you on track for all of these holiday events here is the Plano Moms Holiday Guide. 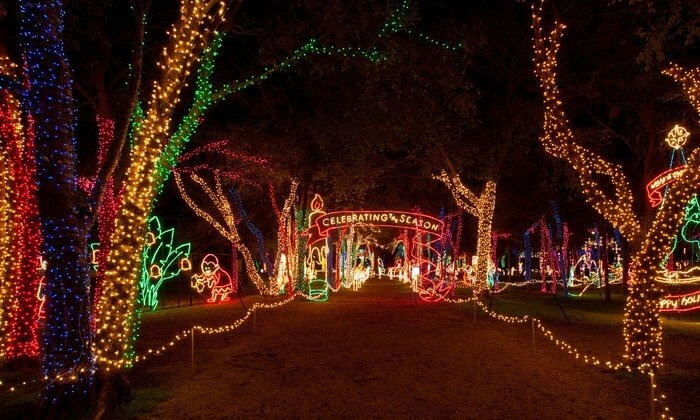 Prairie Lights takes you on a two-mile drive featuring 4,000,000 lights with all-new custom displays with themes like “Pirate Christmas”, “Santa’s Mailroom”, and “Winter Woods”. Mid-way through the drive, stop at Holiday Village for concessions, carousel rides, gift shop, photos with Santa and brand-new attractions. Walk through the brand-new Snow Maze that takes you through a playful labyrinth of twists and turns as you try to find your way out! Take a stroll through the Holiday Magic Walk-Through Forest with even more displays and illuminated trees. Then, finish the drive through the park with the always-popular animated tunnel of lights! Follow them on Facebook for more info and the latest news and events. All aboard! The Trains at NorthPark exhibit is taking off on its annual journey, delighting families and spreading holiday cheer. Come experience new exhibits and classic favorites in a magical winter wonderland! The exhibit is located at NorthPark Center, Level Two between Neiman Marcus & Nordstrom. The Trains at NorthPark benefits the Ronald McDonald House of Dallas—a home away from home for families of seriously ill and injured children. Prices: children under 2 are free, Kids 2-12 and Senior Citizens are $4, and Adults are $7,00. 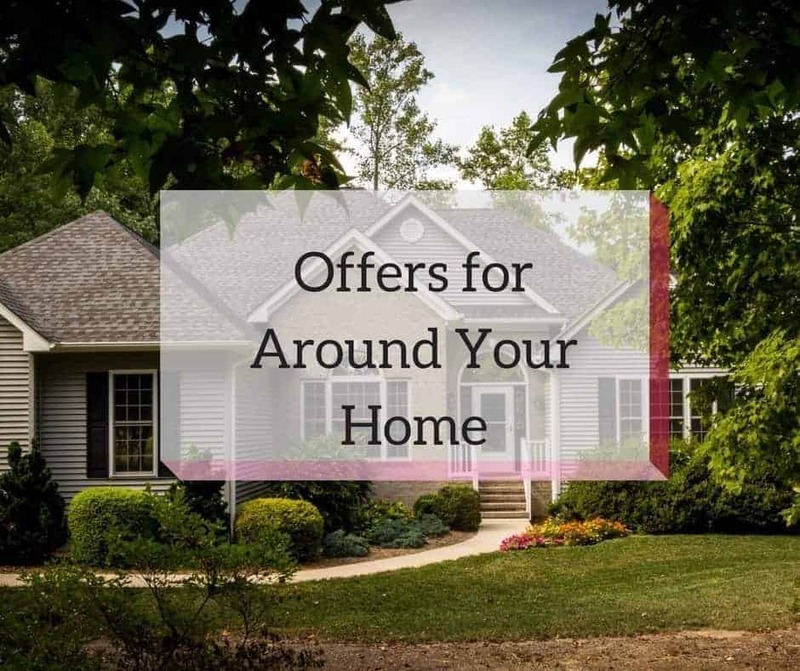 Prices: Vary depending on dates and ages. 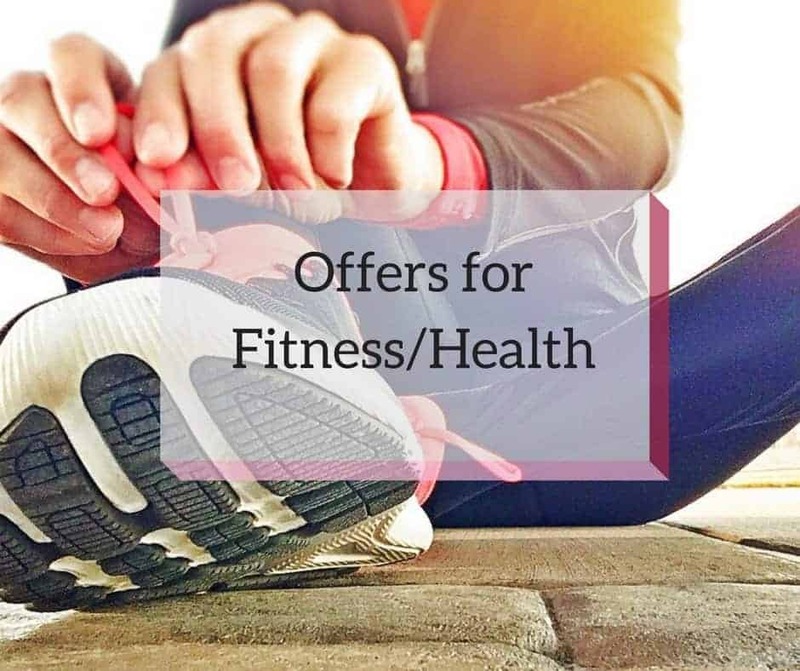 See the link above for prices and times. This year’s theme is Rudolph – the Red Nosed Reindeer! I bet it’s amazing and so much fun for kids. Be sure to use Plano Moms discount if you are going on the selected dates, to get 40% off your tickets!! Collin County’s premier Holiday kick off – enjoy a day of family fun including our famous peppermint tree stick tree build, children’s activities (pony rides, petting zoo, bounce houses, face painting, and more) character meet and greets, a Holiday Market, food, FREE entertainment all day including a FREE performance by I am They, and entertainment from local Choirs, Groups and Theaters, prizes, FIREWORKS, a Carnival and, new for 2017, Kiddie Rides! 100% of the proceeds benefit the Children’s Advocacy Center of Collin County. Head to the Macy’s Food Court, where you’ll find a Winter Wonderland when you step inside the spectacular holiday Ice Palace, featuring a 30-foot ice dome with falling snow, a light show and interactive fun for all ages! Visitors can also marvel at the larger-than-life snow globes, leave an icy handprint and sit on the chilly Ice Throne. The adventure culminates with a visit to Santa and a special gift. “Elf” at The Angelika Film Center at The Shops at Legacy. $9 tickets available for sale at AngelikaFilmCenter.com/Plano. Tip: Get there early. Exclusive swag bags will be available to the first 200 guests who visit The Shops at Legacy booth, located in front of Mi Cocina. Don’t miss out — lucky recipients will receive a surprise gift card in their bag! The holiday season officially starts with the lighting of the new LegacyTexas Christmas Tree at 6:30 p.m.
From Dec 1-30, enjoy the Neighborhood lights famed for going all out during the Holiday Season. From 7-10pm, (avoid rainy nights). Deerfield is located in Northwest Plano between Preston Rd. and Coit Rd. Enter from Legacy on Colonnade or Archgate. Watch all signs, drive carefully and enjoy the holiday lights! Should you decide to walk the neighborhood, please park on a street at the far north part of Deerfield, close to Quincy Rd. and not on one of their busy streets as causes traffic problems. **Please do not get out of your car to take pictures as it causes problems with traffic as well. Another way to see the lights, is with DFW Carriages, who offer Horse and Carriage-escorted rides through the Neighborhoods to make it even more magical! 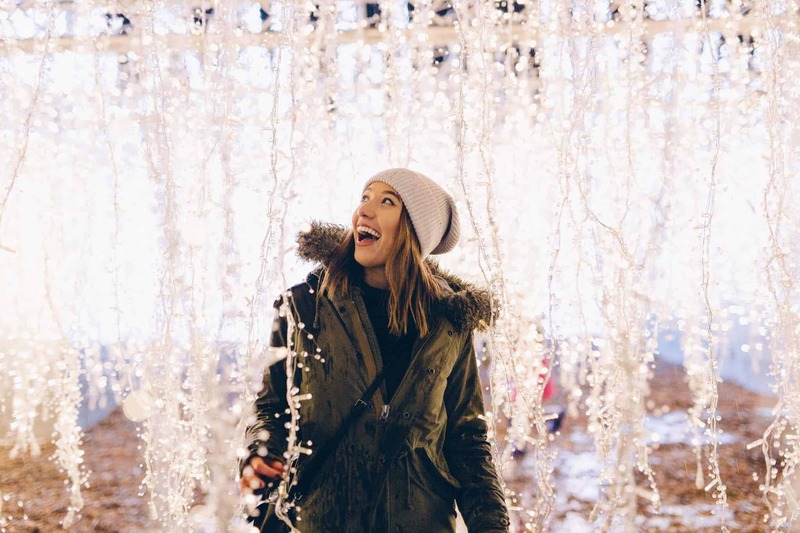 Head to Frisco Square, from November 23 – December 31, to see the largest choreographed holiday lights and music show in North Texas, running nightly from 6-10pm. Free to the Public. Tune in to 107.3FM on the radio or listen to the music outside through speakers if you walk through the lights. Enjoy Ice Skating on their Outdoor rink through January 7, 2019. Other attractions include: Parachuting Santa, Trackless train, Visit with Santa, Santa Houses, Christmas Tree Maze and Tree Lot and Ice Skating Show. Head to our local, Plano based Heritage Farmstead Museum for a Victorian themed, Holiday decorated Farm with over 75 kerosene lanterns and sledding at the North Meadow on the Farmstead snow hill. There will be tours of the Historic Victorian home throughout the event, storytelling, the unique Magic Lantern Show, wagon rides, children’s crafts in the one room school house, choirs in the Pole barn, photos with Santa Claus and so much more. Tickets are $5 in advance or $6 at the door and snow hill rides can also be purchased. Come see the world’s largest light maze, glide around the ice-skating pond, shop in the marketplace, and visit Santa’s Palace. This is going to be an incredible experience you do not want to miss! Prices: Children 3 and under are free. Ticket prices start at $19.95 with various packages available and discounts on specific dates. All information is available on the website. The tickets are limited per night so please make sure you get your tickets ahead of time. Parking is also limited. Holiday lights, train rides in the park, Marionette shows, Kids activities and crafts, Breakfast with Santa, and more! Prices: A select number of tickets will be available to the public, but access to hotel guests is always available. Thanksgiving weekend marks the 38th year for this hometown Christmas celebration. Visit the 14-block area of McKinney’s 165-year-old commercial historic downtown for family activities, food, and entertainment. Enjoy a uniquely McKinney Christmas celebration with neighbors and visitors from near and far. It’s an unforgettable experience and a great start to the holiday season. It’s also a great place for photos with Santa. Tree Lighting Ceremony Friday, November 23rd at 6:15 pm. 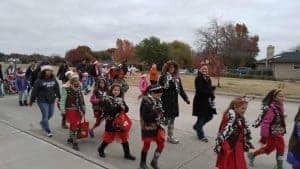 One of the largest parades in the United States, this Dallas holiday tradition spans two generations of families while attracting a crowd of more than 500,000 spectators. This year’s parade will feature spirited marching bands, famous characters, magical holiday floats, larger-than-life balloons and much more. 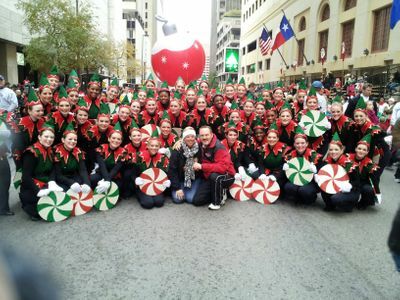 Kick-off your holiday season by attending the Dallas Holiday Parade! The parade begins at 9 am and ends at 11 am. It’s a fun parade for the city of Plano. It includes bands, cheerleaders, Girl Scouts, Boy Scouts, and many more students walking and riding in floats. It usually begins outside the PISD Central Administration Building by Vines High School and goes down Independence and ends near Plano Senior High. Guests will see lights and holiday décor along a half mile Heard nature trail. In keeping with the Heard’s role as a nature preserve, this light display is designed to enhance, rather than overpower, the sanctuary’s natural beauty. Children and the young at heart will enjoy the opportunity to have a photo taken with Father Christmas and Mother Nature in a festive setting. Hot beverages and treats will be available for purchase. Family-friendly entertainment will complement the holiday atmosphere. Local musicians will delight audiences with live holiday music in the Heard outdoor amphitheater. As you can see, there are so many fun events going on in the next few weeks to keep your family entertained! This is the best time of year to make memories with your family and friends. Count me in on any. They all look good. The Chamberlain Performing Arts Nutcracker is showing over the Thanksgiving weekend at the Eiseman. It is a fabulous production with NYC Ballet principal dancers as the Sugar Plum Fairy and Cavalier and. Sugar Plum Tea that is a delight for children to attend. Could it be included in this listing/guide? Please let me know how to help. My children have danced in this production for years.